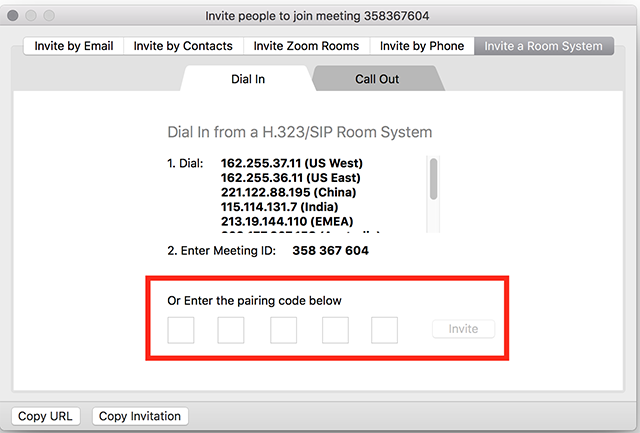 The pairing feature allows for you to join an H.323/SIP device in to a Zoom meeting without entering the Meeting ID from the device. 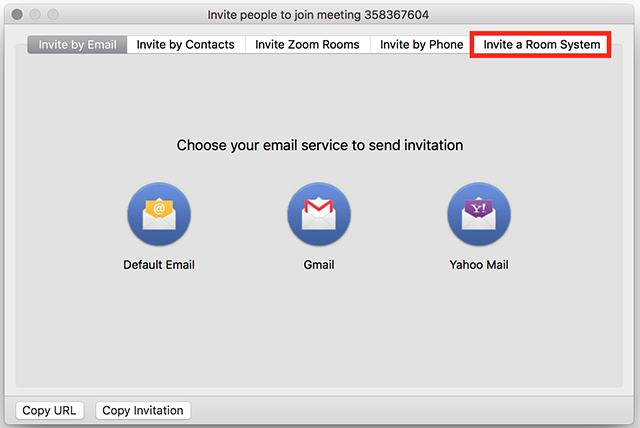 Join or start a meeting from PC or Mac client. Press the Invite button in the host controls. Select the Invite a Room System tab. 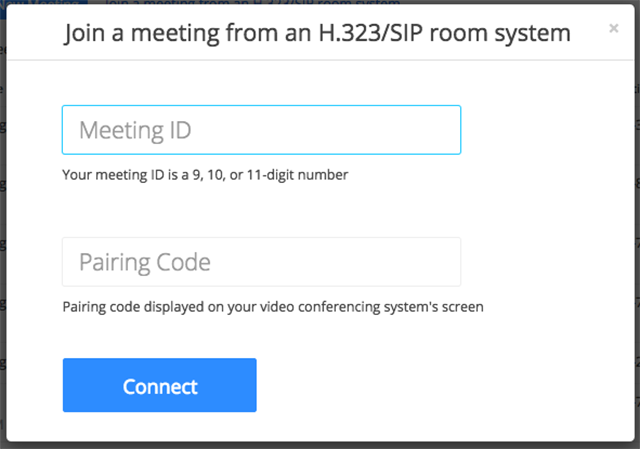 Enter the pairing code shown at the splash screen on the H.323/SIP device.